Like many people, turkey is no where near my favorite part of the Thanksgiving feast. As far as the appetizer course, I’m a sucker for some baked brie: a nice wheel of creamy brie, a thick layer of raspberry jam, all wrapped and baked in phyllo pastry until it’s crisp on the outside and melty on the inside. I’m usually almost full after I’ve polished off a bowl of my mother’s famous butternut squash soup. (I can’t give away all her secrets, but with a pinch of brown sugar and a dash of cayenne, the spicy sweetness of it is perfection). Onto the main course: some version of oven potatoes, a garlicky roasted green veggie (brussels, green beans, chard, take your pick), some straight-forward stuffing, a couscous or barley dish, a simple green salad and my brother’s straight-out-of-the-oven biscuits. And of course the Turkey (and ToFurkey if vegetarians are present). At the end of dinner it’s hard to imagine ever eating again; not only am I full to the brim, but I’m a strong believer in the power of turkey’s tryptophan and am always ready for a nap. However, I’ll pull together my strength, dig deep in my tummy for some room, and dish myself some pie. This year, with my Thanksgiving feast taking place in DC, I’m so excited to end my meal with a few slices of pie courtesy of Whisked! 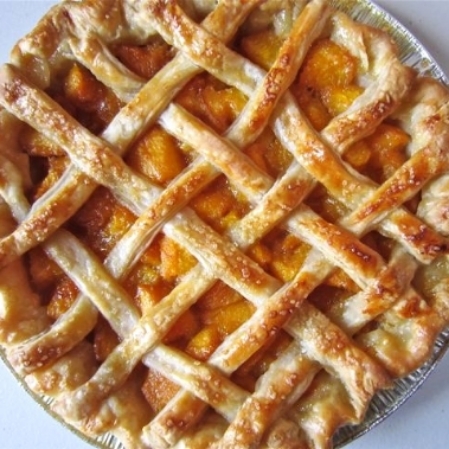 In addition to our usual bi-weekly quiche, pie and cookie delivery, we will be getting two major deliveries before Thanksgiving with a variety of large pies. 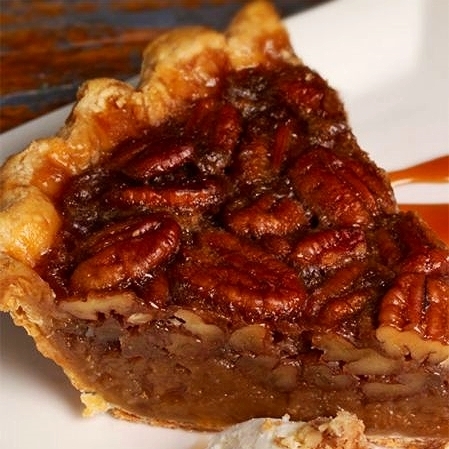 This season, we’ve elected to carry five different pies: Apple, Pecan, Pumpkin, Salted Caramel Apple, and, my personal favorite, Chocolate Bourbon Pecan. 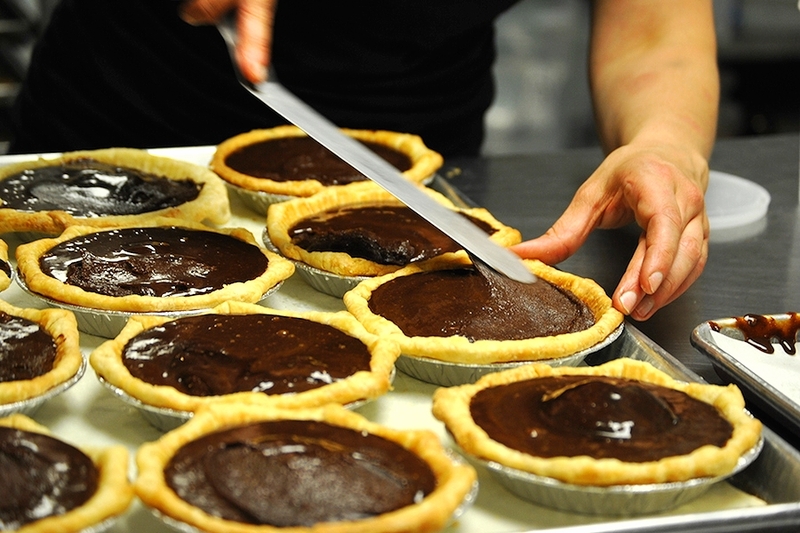 Each pie is recommended to serve 8-10 slices, and costs $24.00. Though we are getting a couple of each flavor, they will sell fast, so we are happily taking reservations for specific pies. If you stop by the shop (or call), we can place any number of pies on hold for you to be picked up prior to Thanksgiving. This coming Wednesday we’ll be closing early, at 3 pm, and will be closed on Thursday and Friday. We’ll be reopening as usual on Saturday morning to help celebrate Small Business Saturday (more on that next week)! For more on Whisked! (who they are, what they do, why we love them), see our earlier post.